In the real estate business it’s amazing when you discover a gem. A gem in real estate is usually an area that is A) Affordable to most consumers and B) Full of opportunities. San Marcos, North and South, is such an area. And according to the history books it always has been. San Marcos homes are on a plot of land that was once undiscovered by the settling Spaniards that lived here in the late 1700’s. Seems a tribe of Indians had made off with some loot from a local missionary and the residents gave chase. They never found the tribe or the stolen goods, but they did discover a little paradise in the form of the fertile valley that was once San Marcos. At the time they named it Los Vallecintos Des San Marcos (The Little Valley of Saint Mark). But now, if you’re lucky, you can simply call it home. If you’re looking for the perfect San Diego neighborhood to move your family to, this is it. 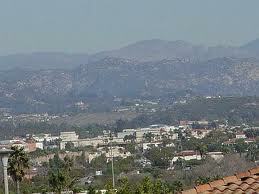 San Marcos is home to one of the best public school districts in the country, The San Marcos Unified School District. And after your children complete their studies in elementary and high school there are plenty of nearby institutions to further their education, including CSU San Marcos, part of the California State University system. Of course San Marcos has more to offer than just good schools and cozy single family homes. There are also affordable condominium communities in the area as well. 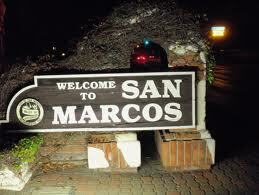 San Marcos condos are near the heart of everything. For younger home buyers who want to be tapped into an active social life or older singles looking to live near others, a cozy condominium is the way to go. However, if you’re really looking for a deal there are plenty of REO’s, or foreclosures in San Marcos. In these situations a creative home buyer can sweep in and sweep up quite a deal. Some of the foreclosures in the area are fixer uppers, but most buyers are looking to put their own stamp on a property anyway. Which means they have a lot in common with the original Spanish settlers of San Marcos. If you’re looking for the real estate opportunity of a lifetime, look no further. You’ve found your virtual fertile valley just over the hills. Make San Marcos your real estate gem.